This is a reprint of my March 6th column that ran in the Traverse City Record-Eagle because this recipe was too good not to share here. I’m a little romantic about food. I’m sure that comes as a not-surprise-at-all to many of you who have been reading me for years. Food is how I show people I care. For instance, I am not now and have never been a fan of spaghetti with meat sauce. It’s just not my thang. So, when snowed in for Valentine’s Day, from the myriad options my well stocked pantry and freezer offered me –Salmon? Shrimp? Various delicious chicken, beef, or pork dishes? Check, check, check.- I opted to make a giant bubbling pot of meat sauce and an even more huge pot of spaghetti because it is one of my husband’s favourite dishes. The poor guy doesn’t get to eat it often, both because of the variety of foods I make to fulfill my duties as a recipe developer and because it is one of the few foods that makes me wrinkle my nose, but I made it exactly as he loved it that day. Loads of ground beef were browned up with garlic, onion, and various herbs and spices. Into the pot over the ground beef went a jar of the spaghetti sauce I had made from the summer’s bountiful tomatoes. Slow-simmering took place and all of this equaled one very happy husband and five very happy boys. The dish is still not my thing, but I was happy, too, because of the beaming faces at the table. Thankfully, not all of my husband’s favourite dishes are a point of divergence for us. 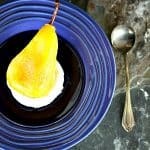 One dish that makes him swoony with happiness also happens to make my heart go pitter pat: poached pears. Not just any poached pears are the stuff of our dreams, though. Our affection for the dish is mostly directed at a style of poached pears that he refers to as “that honey treatment”. The ripe but firm pears are peeled and simmered in a mixture of white wine, honey, lemon juice, cardamom, and saffron. 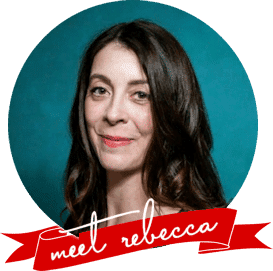 I made the first time after flipping through my favourite cookbook -“Jerusalem: A Cookbook” and found that I had everything I needed except for sugar. EGADS! I subbed in honey and have never looked back! When the pears are tender, they’re refrigerated until chilled through. The leftover liquids in the pan are reduced by two-thirds to three-quarters to create a fragrant, sweet, thick syrup. The syrup is poured through a sieve into a jar or a pitcher and that is set in the refrigerator to chill. The real moment of glory comes when everything is put together over a dollop of plain mascarpone. Many dessert recipes call for sweetening or stretching the mascarpone with sugar and cream. In this case, the pear and syrup provide all of the sweetness that are needed and the mascarpone adds a rich decadence to the dish. My husband tells me this is “the best dessert I’ve ever eaten anywhere.” Given that he has a sweet tooth and has tried at least a little bite of nearly every of the hundreds of desserts I’ve turned out of my kitchen, I think that’s saying something. It certainly says that my husband loves it, and that’s reason enough for me to make it time and again until he cries ‘UNCLE!’. I used Bosc pears because I think they’re firmer than many other varieties of pears even when fully ripe. To me, they’re ideal for this recipe. On that note, don’t use a squishy soft pear, it’ll disintegrate while poaching. If you don’t have saffron, the dessert won’t be a disaster, but it’ll lack a little bit of that distinct Middle Eastern flavour and it won’t be that shockingly lovely shade of yellow. I know you’ve probably heard it, but it bears repeating. Don’t use a wine for cooking that you would refuse to sip. It doesn’t have to be expensive, but it should be a tasty, dry white wine. I used an unoaked chardonnay from Yellow Tail here and it did beautifully. If you’re not sure what to pick, ask a clerk where you purchase wine for their recommendation on a nice, affordable, sippable, dry white wine. If you’re concerned about alcohol content in the final dish, be assured that almost all of it cooks out leaving only the delicious taste. You won’t get soused nibbling on poached pears, nor will you get tanked even if you drink a shot of the caramel that results from boiling down the liquid afterward. I know the pure mascarpone is an indulgence, but it’s a worthy one. The sweet, spiced pears hold up very well to the rich, thick mascarpone. Don’t skip it! Bonus: These make a fantastic make-ahead dessert for entertaining since you should chill them well before serving. Make up to 3 days in advance and keep them tightly wrapped in the refrigerator. Hello, Easter dessert! Double Bonus: Leftover pear poaching syrup can be stirred into unflavoured seltzer water for a seriously sophisticated pear soda. 4 ripe but firm pears Bosc is a good choice. Stir together the Chardonnay or Pinot Grigio, honey, cardamom pods, saffron threads, and the pinch of salt in a 2 quart saucepan. Peel and place the pears in the liquid. Bring the mixture to a gentle boil over medium high heat, then drop the heat to the lowest setting, place a circle of parchment paper directly on the surface of the liquid, and simmer for 15-20 minutes, lifting the parchment paper and gently turning the pears over from time to time. The pears are done when you can easily insert a knife in the base of the pear with no resistance. Transfer the pears to a rimmed plate or bowl, cover with plastic wrap and refrigerate until well chilled. Discard the parchment, raise the heat back up to medium and bring the mixture to a boil again. Boil the syrup until it has reduced by 2/3 to ¾ of the original volume. 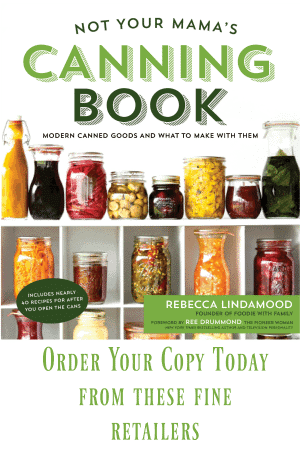 Pour it through a fine mesh strainer or sieve into a heat-safe jar or pitcher. Cover with plastic wrap or a lid, and refrigerate until ready to serve. 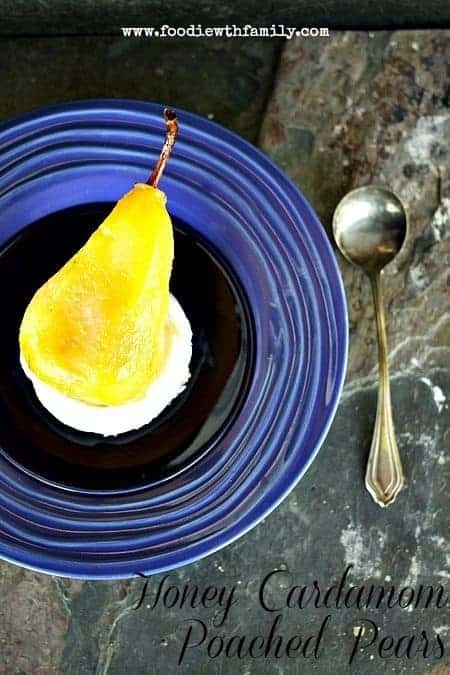 To present the pears, add a dollop (about 2 tablespoons) of mascarpone to a dessert cup or dish and arrange one pear over it. Drizzle a little of the chilled syrup over the top and serve! You could! According to the almighty Google, each pod has 8 to 16 seeds in it! You and I have the exact same feeling toward cooking, though I do love spaghetti and meat sauce. The one I don’t like is liver and onions and that’s my husband’s favorite dish. So, I make it for his birthday and he’s happy. I eat something else and I’m happy. I think we’d both be really, really happy with these pears though. I adore cardamom. I love cardamom. We were separated at birth I think. I can only imagine how delicious this tastes! Beautiful recipe!! Looks delish! I just want to bite into that pear! Once again, you knokced it out of the park. I’ve really been digging pear + cardamom lately! It goes so well together. Oh honey! And Cardamom and mascarpone. I’m going to need to sit down (and eat this). My hubby’s favorite fruit is a pear. He would love this especially with the cardamom. It would remind home of home. As the family cook, I usually make what I like, but I sometimes I too make things that aren’t my favorites. Today I was rewarded with a “this is the best thing I ever ate.” It’s moments like that that make it all worth it. Love all the cooks notes! Looks divine! I love all things with cardamom. It is my weakness. I can’t say no. The color is gorgeous! 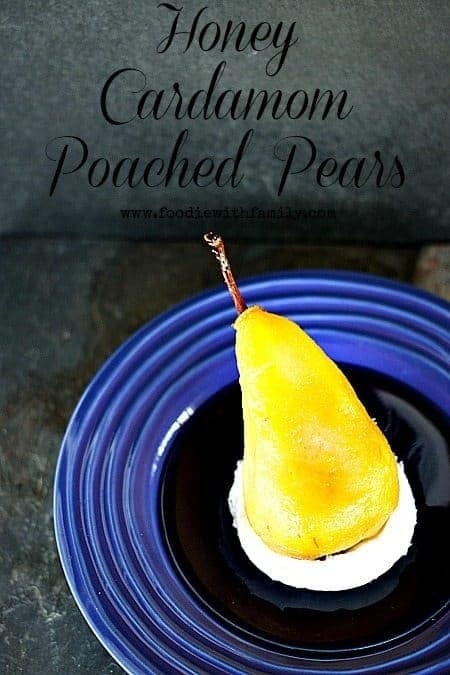 I love poached pears and this looks like perfection! !